J. Ettenson Realty is unlike any other of the real estate websites in Rhinebeck. Our real estate website in Rhinebeck focuses on providing clients real estate options with three needed services. For one, we ensure that all of our clients have a knowledgeable advocate that they can turn to throughout the real estate buying process. To learn more about our real estate options in Rhinebeck, please call J. Ettenson Realty today at 845-876-7355. You can also get in contact with us on our real estate website by simply filling out the online request form on this page. Whether you’re looking into buying or selling, our real estate website can be the guide you need. 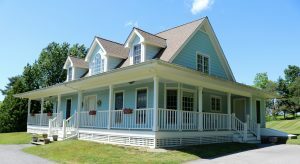 J. Ettenson Realty showcases featured properties on our real estate website in Rhinebeck so that visitors can see the top properties in the area. Our team provides insider views on the real estate market in Rhinebeck through our website. J. Ettenson Realty has an effective real estate website where users can easily get in touch with one of our professional realtors. Our real estate website not only contains properties in Rhinebeck. We have a great selection of real estate options on our website from nearby Red Hook, Livingston and other Dutchess County properties. Find out more about the real estate options available at J. Ettenson Realty by calling us today at 845-876-7355. You may also reach out to our knowledgeable realtors through our real estate website by simply filling out the online request form on this page.